Through the first three seasons of The Flash, the villain has been a speedster and it has been about Barry Allen (Grant Gustin) not being fast enough to stop them. First it was Reverse-Flash / Eobard Thawne (Tom Cavanagh / Matt Letscher), then it was Zoom (Teddy Sears) and last season was Savitar, a future version of Barry. But this season was going to be different as the Flash was pitted against the Thinker (Neil Sandilands). Barry didn’t need to get faster — he needed to get smarter. 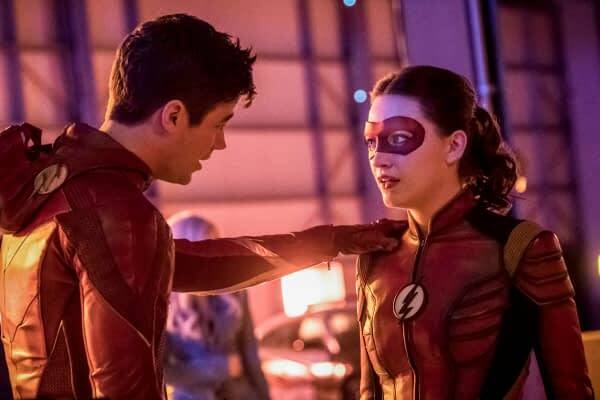 But the clip below for tonight’s episode, ‘Enter Flashtime’, shows that once again Barry wasn’t fast enough. Its been the theme over the last few weeks. He wasn’t fast enough to save Hazard (Sugar Lyn Beard), he wasn’t fast enough to save the Fiddler (Miranda MacDougall), and here he isn’t fast enough to stop the terrorist from detonating the nuclear bomb. And the whole theme of tonight is to see if Barry, Jesse Quick (Violett Beane), and Jay Garrick (John Wesley Shipp) are fast enough to save Central City. Could this be the episode that changes things? Barry has to think so fast tonight and push himself so hard that he can start to match wits against DeVoe? The Flash airs tonight at 8 p.m. ET on the CW.